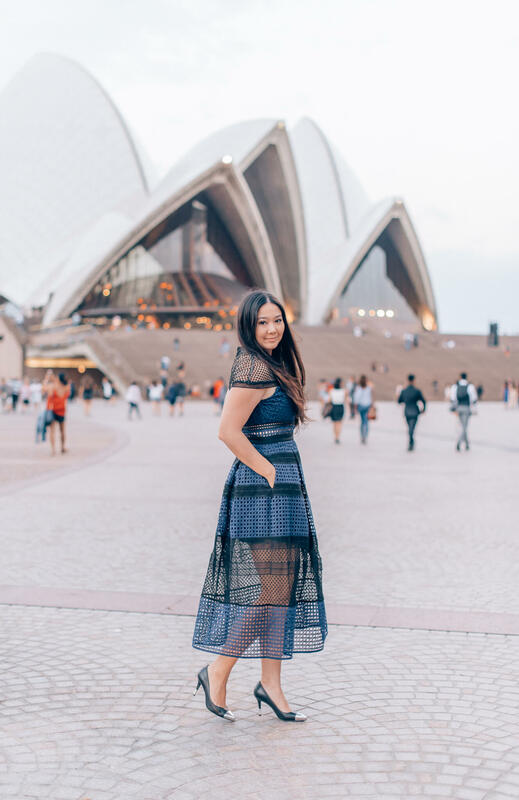 Okayyy, Self-Portrait strikes again with one of their incredibly elegant lace dresses! 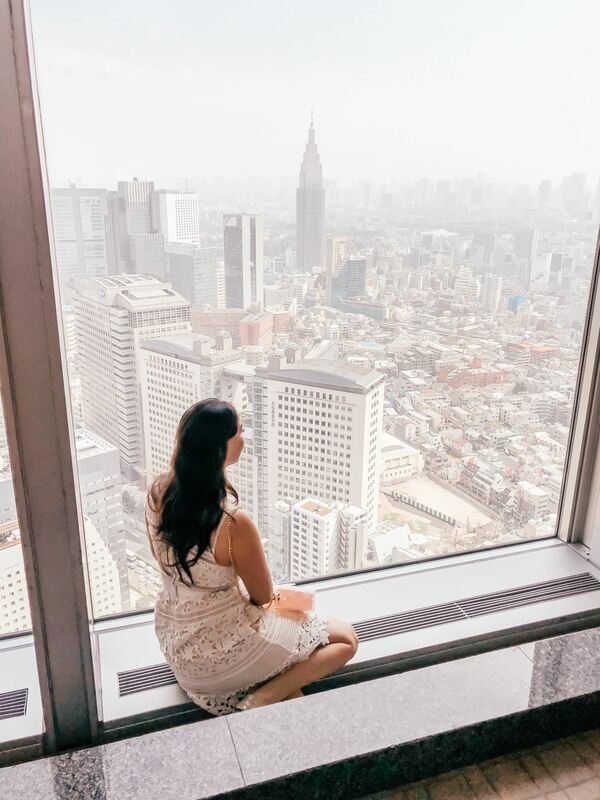 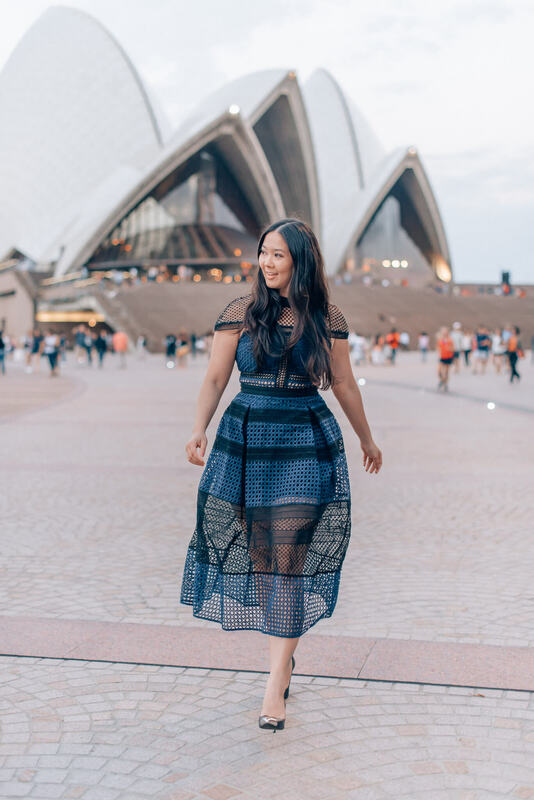 Funny story, I brought this Self-Portrait dress with me on my recent trip and was also wearing it in Tokyo. 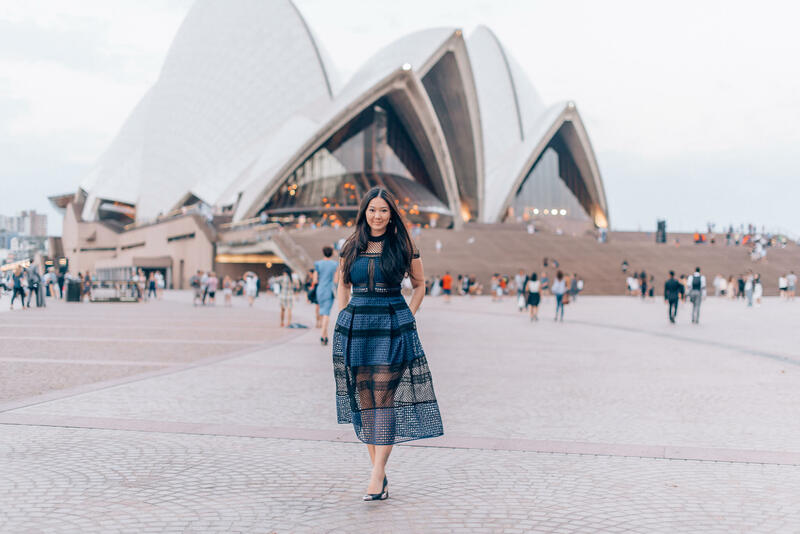 I happened to look up and I saw a giant billboard with Miranda Kerr for a Japanese brand I wasn’t familiar with, and she was wearing the same Self-Portrait dress! 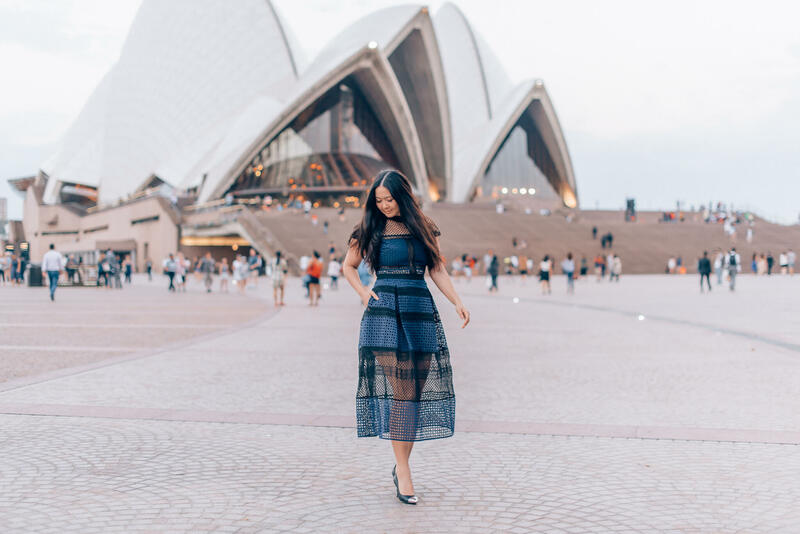 Twinsies. 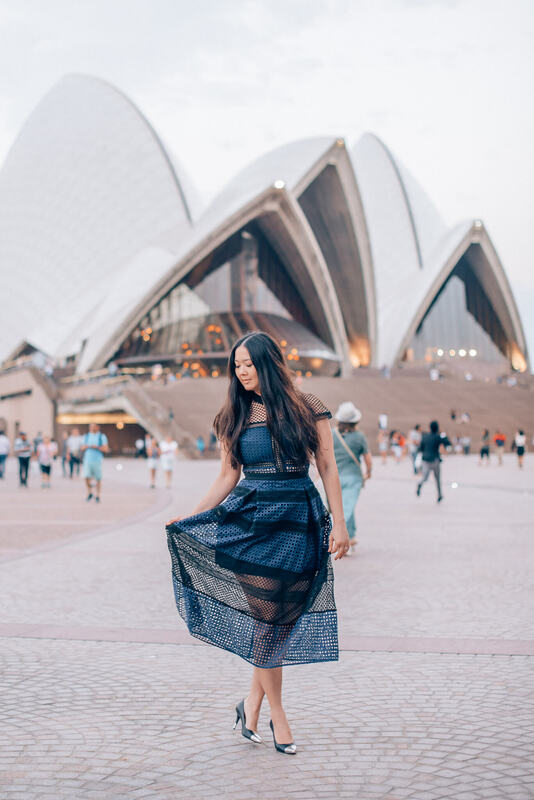 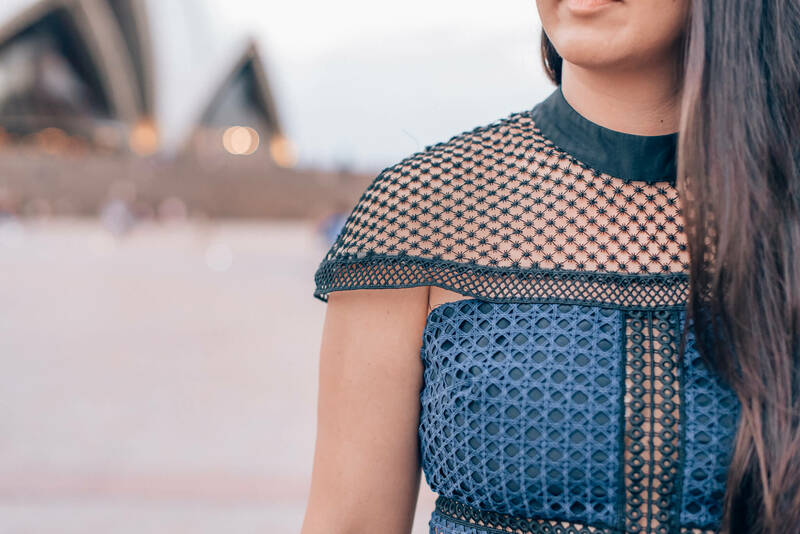 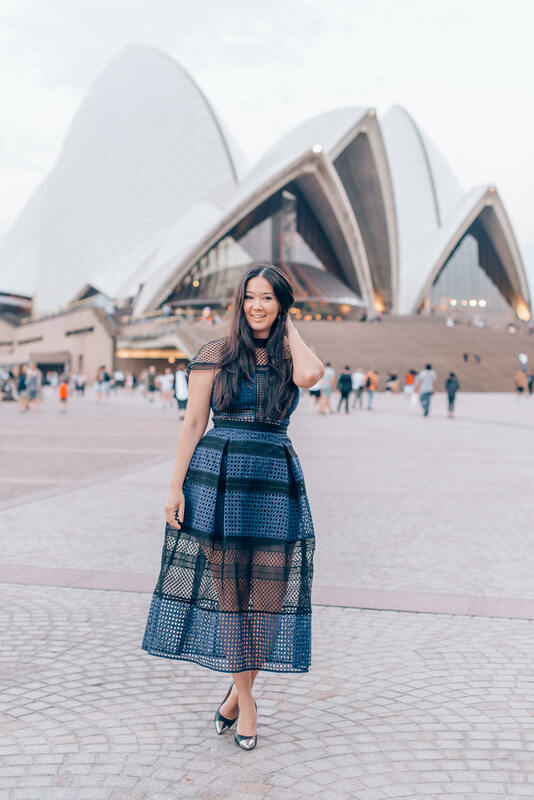 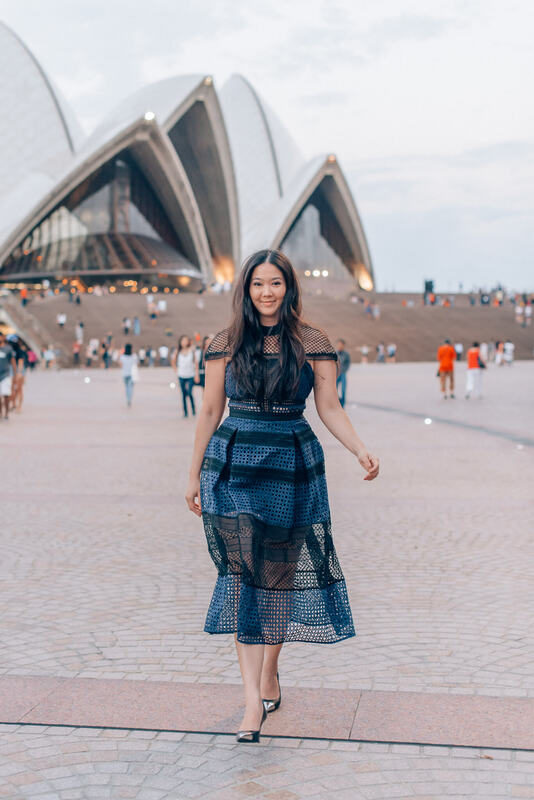 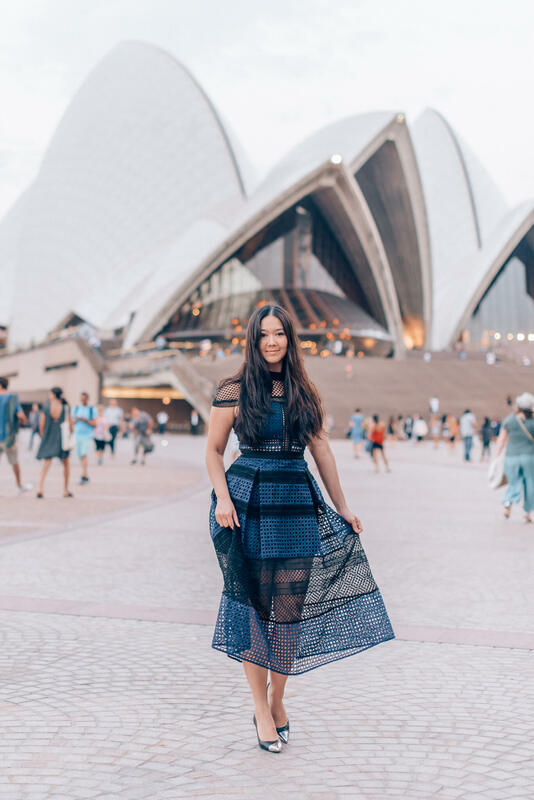 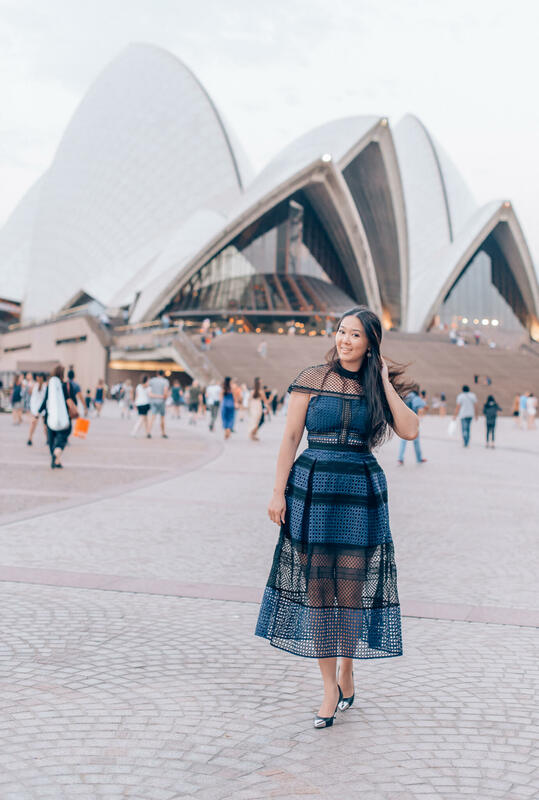 👯‍♀️ In Sydney, I wore this dress for a night at the iconic Sydney Opera House. 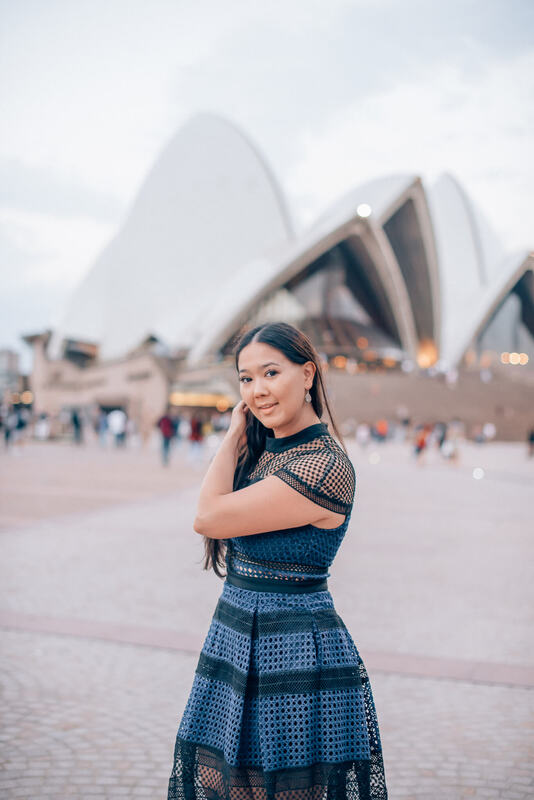 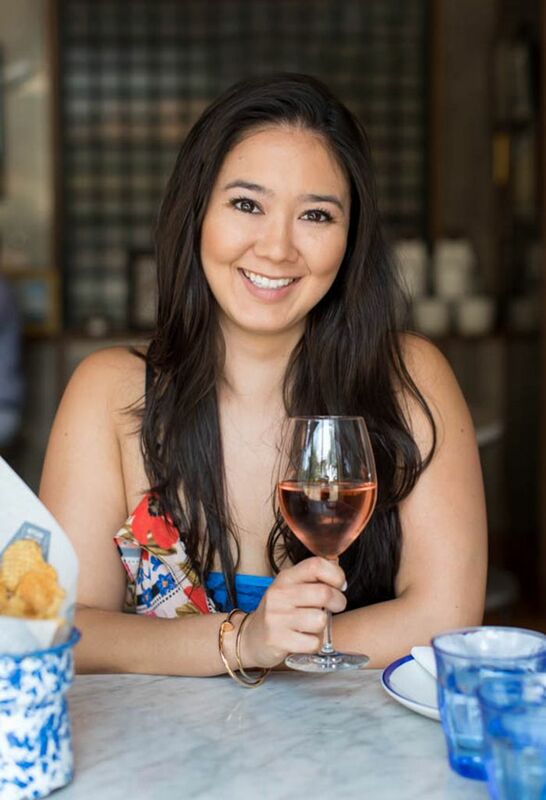 If you’re not necessarily into the idea of buying tickets for a show (they have more than just opera, btw), you can still experience the inside of this gorgeous building by stopping in their restaurant, Bennelong, for drinks.